You know that thing when you hear a song and you're immediately taken back to a certain point in time when you were listening to that song? When we were driving to my parents' house last weekend, I was flipping through songs on my iPod and hit "Feels Like Home" by Chantal Kreviazuk (you can listen to it here). 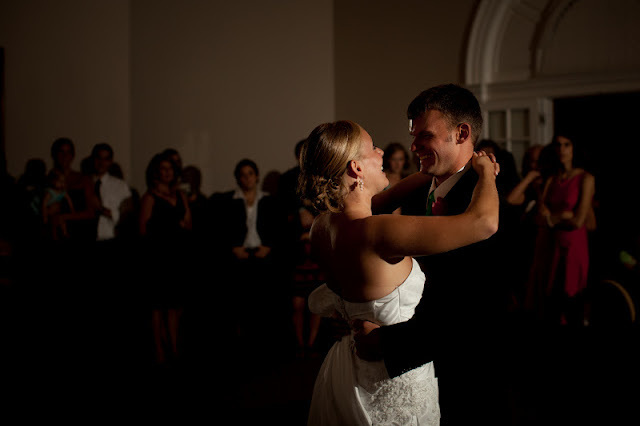 That was the song we danced to for our last dance at our wedding, and as soon as it started playing in the car I felt like I was back to our wedding day. Our last dance was probably one of my favorite parts of our entire day. I was so relaxed, I was so indescribably happy to be married to Caleb, and I felt like there was no one else in the room but Caleb and me. The words of the song say "if you knew how happy you are making me, I never thought that I'd love anyone so much", and I really thought I would never feel happier than I did at that moment. The crazy thing is that I do; I am so much happier and so much more in love with Caleb now than the day we got married. It's one of my favorite things about marriage; it keeps getting better and our love keeps growing stronger. 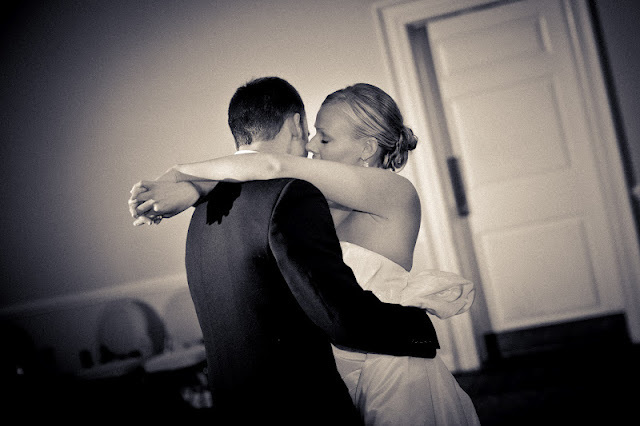 I love that listening to that song reminded me of all of this, because I don't ever want to forget the way I felt on our wedding day. 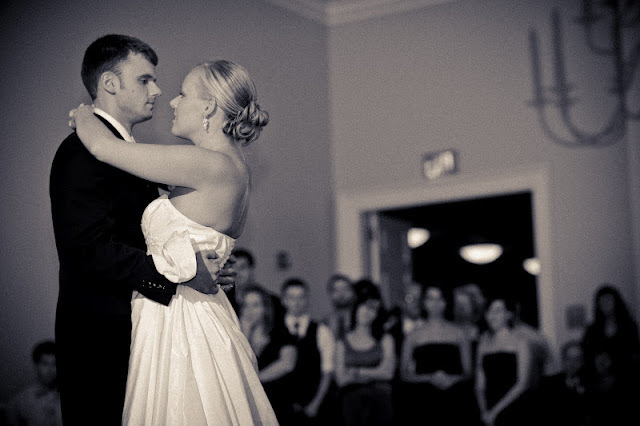 These are some of my favorite pictures from our wedding day - they were taken during our last dance. Love this post! That is so encouraging to hear your marriage just keeps getting better and better... I feel exactly the same way. The longer I am married the more I love Michael. I can't WAIT to feel what the love of 30, 40, or 50+ years is like! SO sweet!! You are one gorgeous bride!! Holy cowssss! i love it when a song does that (sidenote: i love chantal's song surrounded. other sidenote: because it feels like spring up here i'm jonesing for this certain coldplay song that takes me back to graduating from vandy and meeting brian. end of sidenotes). i love what you say about your marriage with caleb - it is so good, and so awesome to hear that. and yes, you look so, so gorgeous in those pictures. your hair, your dress, but most importantly, just the joy on your face. love seeing these. Oh sweetheart, this is just beautiful! I feel the same way about my relationship with my husband. Just when I think I can't love him anymore I find out that I can. Thanks for sharing this beautiful post! Aw that's the best when songs take you back. You look soooo lovely in those photos. So sweet. Our first dance song was More Than A Feeling by Boston lol. May not me smooshy romantic, but I loved it. This is so sweet! I'm so glad you are sharing this. I love these photos and glad that you are growing in love with each year you add to your marriage! I love when a song transports you to a memory in an instant. :) I'm glad you had that moment recently. I love that song! Very beautiful photos, you make a great couple! We had that song played at our wedding also....I still can't help but feel emotional every time I hear it.